I really enjoyed reading this book, but I have to admit I was very confused about what was happening throughout most of it. Part of it had to do with me being in denial with what was happening. I don’t want to spoil the book, but there were some things that happened outside of societies norms. As I read the novel, things I was unclear on became clear, but some things did not. I’m still a little confused to be honest. What I liked most about the novel was the relationship between Roman and Peter. I thought that was interesting, and would like to see where that will go in any possible sequels. I’ve heard 2 were planned. The mystery was also very good, and I loved guessing who’d done it. As for the romance. Yuck! That’s all I’m going to say on that front. None of the couples are worth rooting for. Except maybe Roman and Peter, and they didn’t have a romantic relationship. 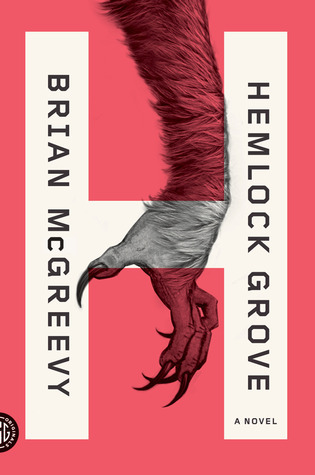 If I had one criticism for this novel, and author Brian McGreevy, it would be to decrease the number of supernatural creatures. Zombies, vampires, werewolves, angels(? ), Dr. Frankensteins, serial killers, etc. is just too much for one novel. Also, the family “connections” were a bit overboard. I’m just saying. Any who, if you are interested in checking this out before the series premieres on Netflix in 2013, give it a shot and tell me what you think.